Entering a town is a defining moment in any Battlegrounds match. In open fields, you’re safe. You can see for miles, and shots are difficult to track over long distances. Enter a village or town, it’s different. Sixty alive. A car sits vacant in the street. Any other day a gamble, but today, it’s facing east. You sprint to it knowing it’s untouched, and drive off towards the center of the circle. Battlegrounds is built on those little gambits and assurances, but in a patch last week, one system was changed. In the patch notes, PlayerUnknown writes that vehicles will now spawn facing random directions, rather than all facing due east or west. The change in direction is an interesting one, because while developer Brendan Greene likely never intended for all motor vehicles to face east and boats to face west, it became a part of the meta-game. 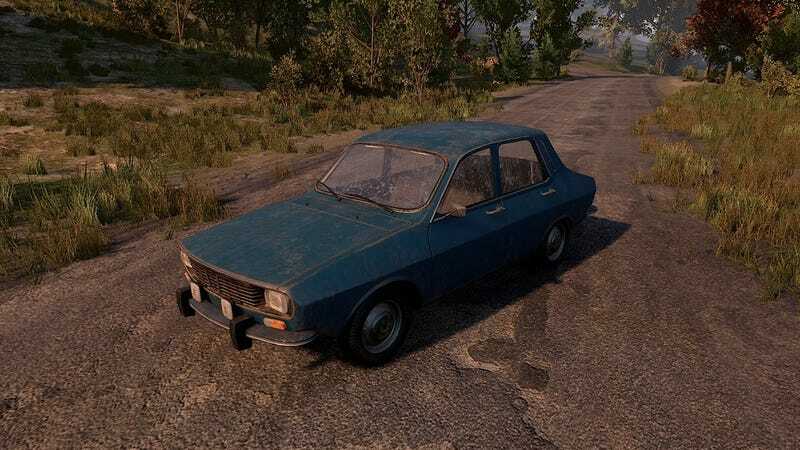 When you approach a car, it presents a unique advantage to the informed player that checks their map, allowing them to foresee an ambush—or, conversely, ambush the vehicle’s owner. On the other hand, smart players could always park their car facing east, so if someone came lurking by, they would be caught unaware after assuming the vehicle outside that building was empty. Battlegrounds is a battle royale game, a genre that takes after its film namesake Battle Royale. Parachute onto an island and be the last competitor standing in a 100-person deathmatch. Knowing where your opponents are, or have been, is crucial when the line between you and a “winner, winner, chicken dinner” is a handful of bullets thin. Competitive games have a strange relationship with baked-in design decisions like these. Dota 2's camp stacking was a unique byproduct of the game’s previous engine, but it added an interesting enough twist to gameplay that developer IceFrog left it in. Stacking is when you attack a monster camp in the jungle to lure them out of their cove, leaving it empty at the X:00-minute mark. The game checks for empty camps and spawns new monsters, allowing players to exploit this mechanism to “stack” multiple groups of monsters where only one should be, maximizing the amount of gold that can be farmed. Within Battlegrounds, there’s another latent design decision in doors and buildings. Every door on the island is closed when the game starts, so if a door is open, that’s an immediate signal that someone has entered the premises. It’s led to higher-level players instinctively shutting the door behind them, to cover their tracks and obscure their intentions, much like how a smart player might have previously always parked their car facing east. These little tricks aren’t just to fool outsiders. Your heart skips a few beats when, after searching a floor of a building or camping on its roof for a while, you head down the steps and see an open door. The place you thought was safe isn’t so, and now you don’t know if the person who cracked the door is among the dead or two steps behind you. No door is safe in Battlegrounds, but the risk of opening one into the unknown is one of the most tense moments in the round for any given player. Campers will use this to their advantage, hiding under stairs and in corners to catch intruders. See a building in the middle of the circle and 20 alive, bets are that there’s someone inside, so now prospective occupants have to utilize tools like smoke gas or noise distractions to turn the tables. With vehicles facing random directions now, some of the interplay is lost. Every vehicle is now a gamble, with no “safe” position. There’s no “open or closed” binary like doors have—now, every car is a randomized gamble, with no player interference to muddy the waters. While this removes an unintended circumstance of code and strategy, it also means players can’t play the same mind games they did before with cars, forcing players to formulate new approaches. So you’ll crest a hill overlooking a town, and descend upon it. Gun in hand, backpack in tow, stocked with first aid and frying pans, 59 alive. A four-door will loom in the distance. It’s facing northeast, but that isn’t important anymore. You don’t know whether that car has an owner, or maybe had. There’s no guarantee anymore. All you know is that no car due east is safe anymore.